The Education Speaker Series (ESS) provides an exciting mix of programs related to raising healthy children and young adults. Many of the speakers throughout the year speak closely to our Social Emotional Learning programs and services. 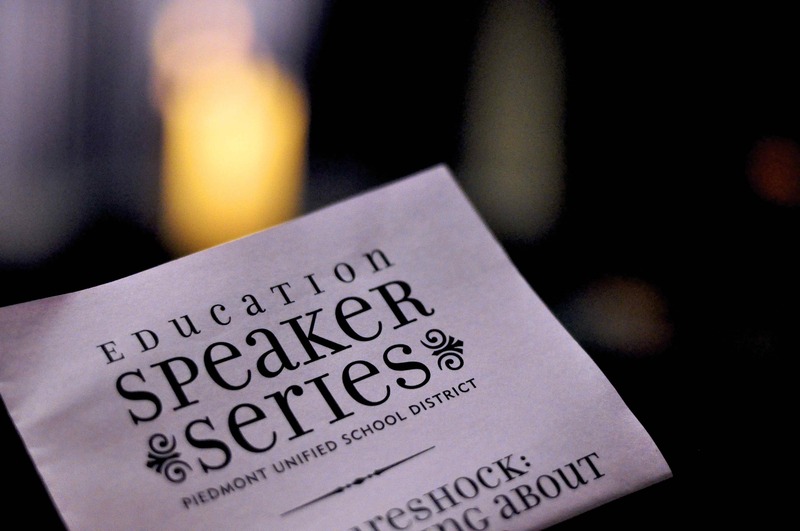 The Education Speaker Series is presented by the Piedmont Unified School District and Piedmont Adult School, with the generous support of the Piedmont Education Foundation, Piedmont Parents Network, ESS Speaker Circle, and individual contributors. Girls Leadership Institute Co-Founder and Executive Director Simone Marean explores the challenges girls face today and what adults can do to help girls meet and overcome these challenges. Covering girl dynamics from preschool through high school, Ms. Simone addresses the skills needed for girls to: know who they are, what they believe, and how to express their feelings and beliefs constructively; and develop emotional intelligence and healthy relationships. Ms. Marean will present a professional development workshop for educators in addition to the parent education program. New York Times columnist Frank Bruni writes frequently about higher education. Bruni examines how Americans have turned college admissions into a terrifying and occasionally devastating process, preceded by test prep, tutors, and a conviction among too many young people that their futures will be determined — and their worth established — by college admissions. Bruni’s book, Where You Go Is Not Who You’ll Be, offers a fresh perspective on the college admissions process and a path out of the needless anxiety and fear associated with college admissions.